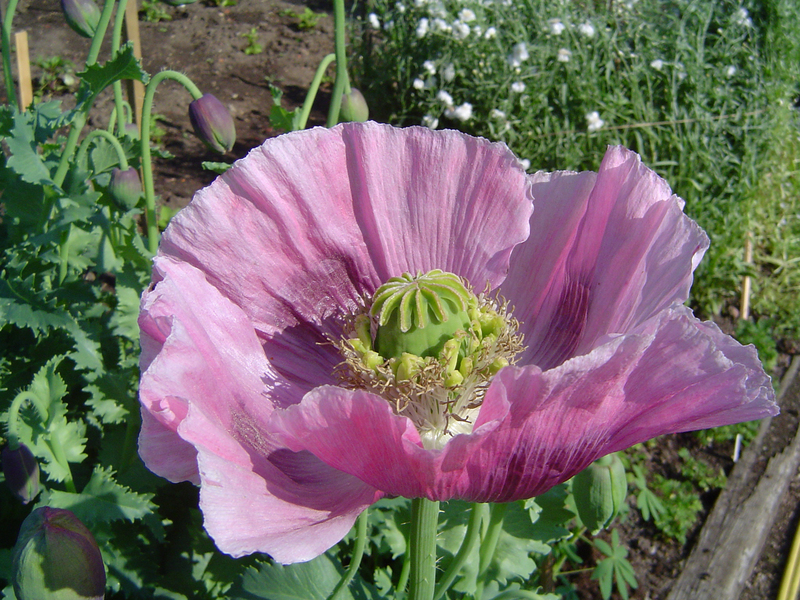 Opium poppy at the Cambridge University Botanic Garden. 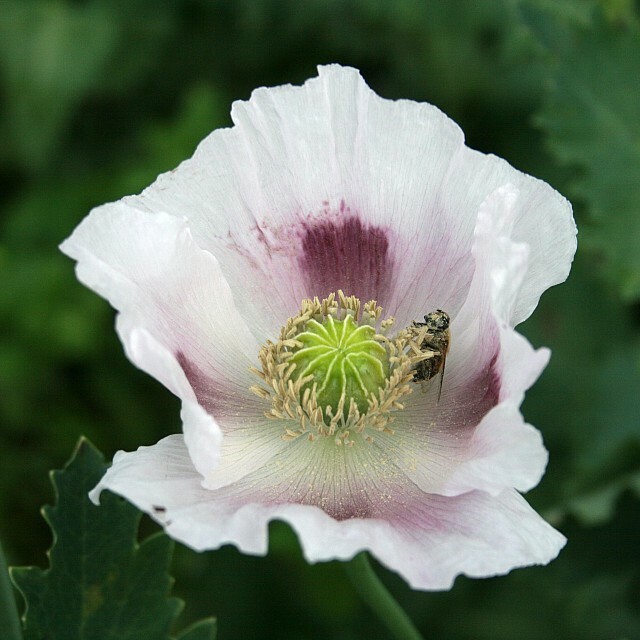 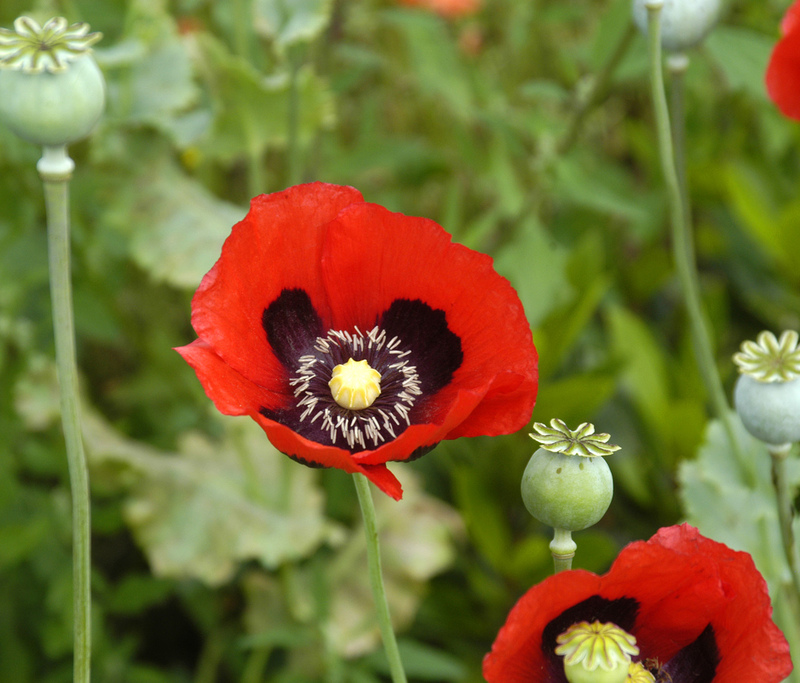 Opium poppy at Chatsworth House, UK. 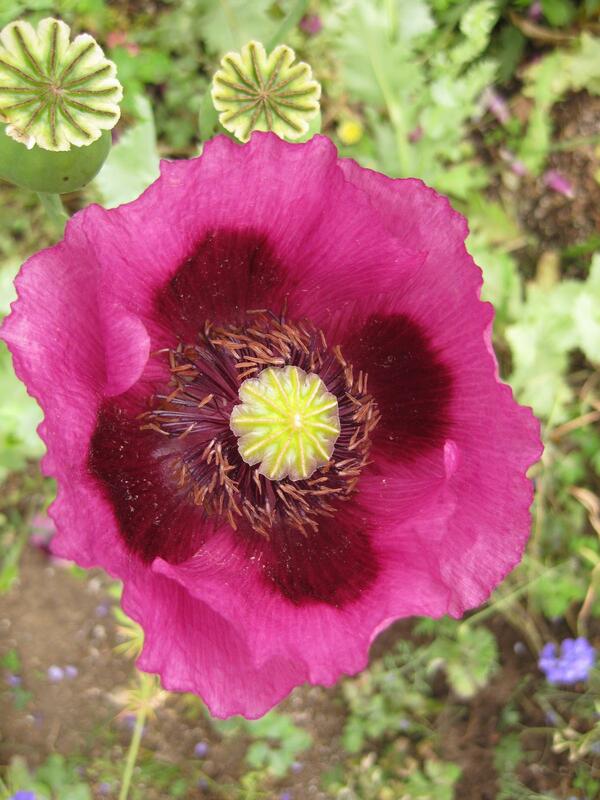 Opium poppy at Huntington Gardens, Los Angeles. 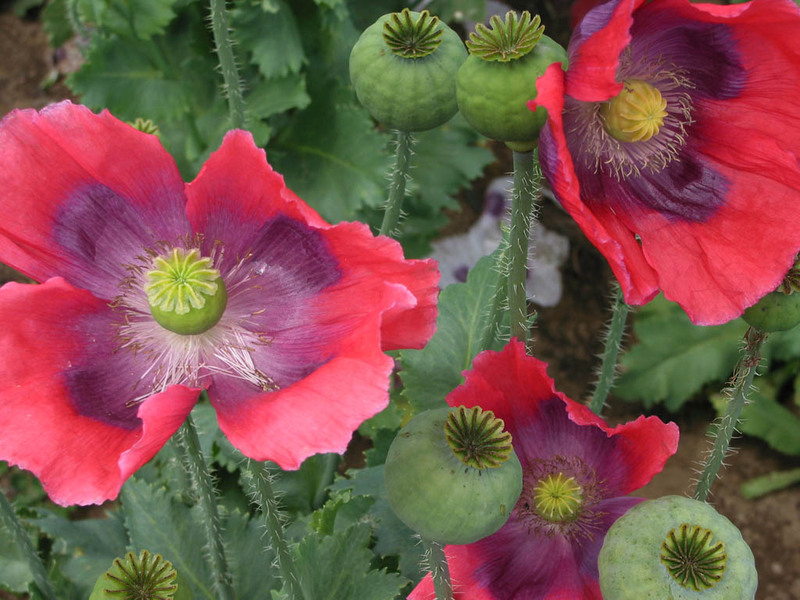 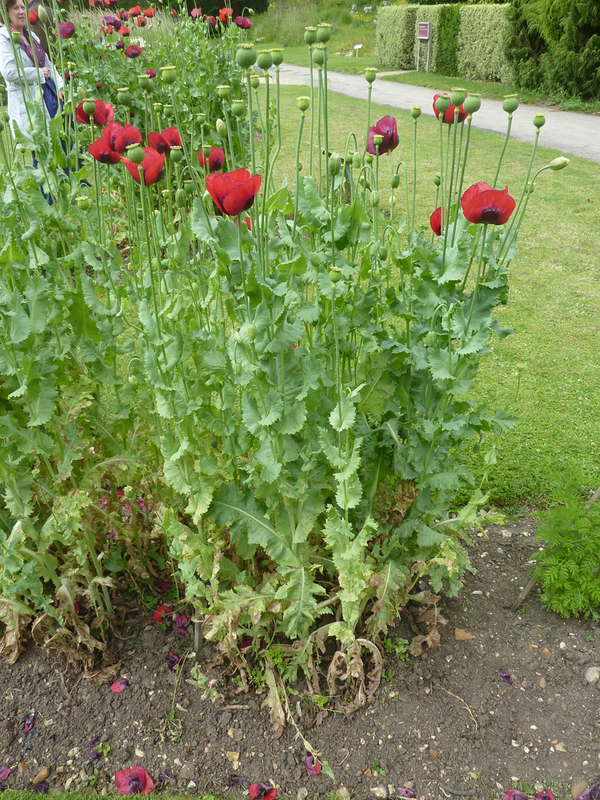 Group of opium poppies at the Cambridge University Botanic Garden. 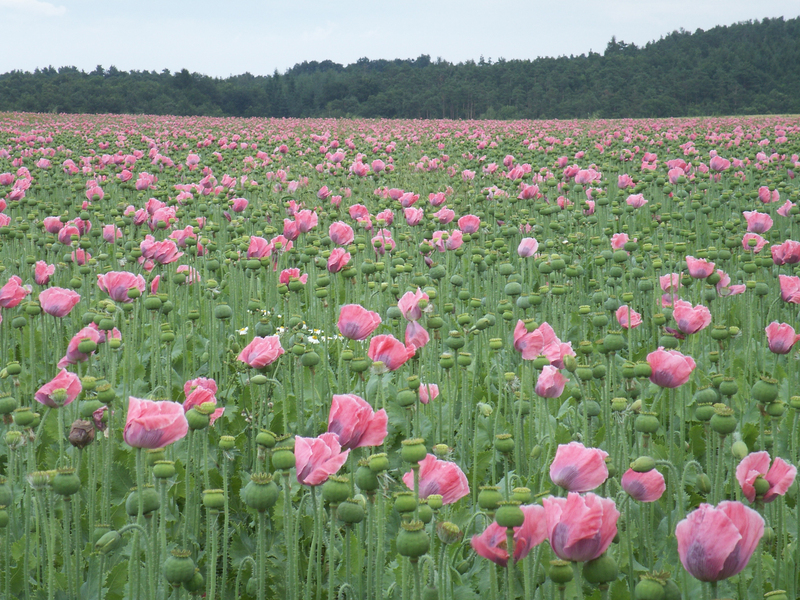 Field of opium poppies, Germany. 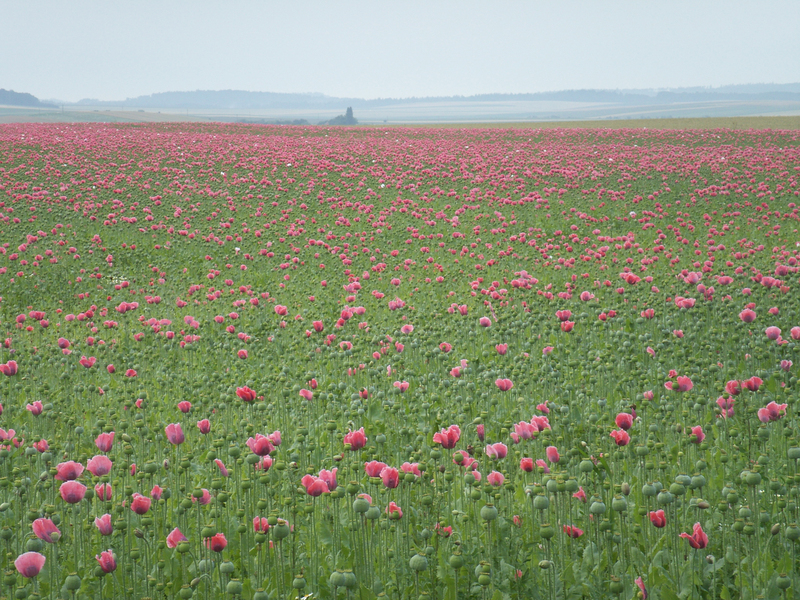 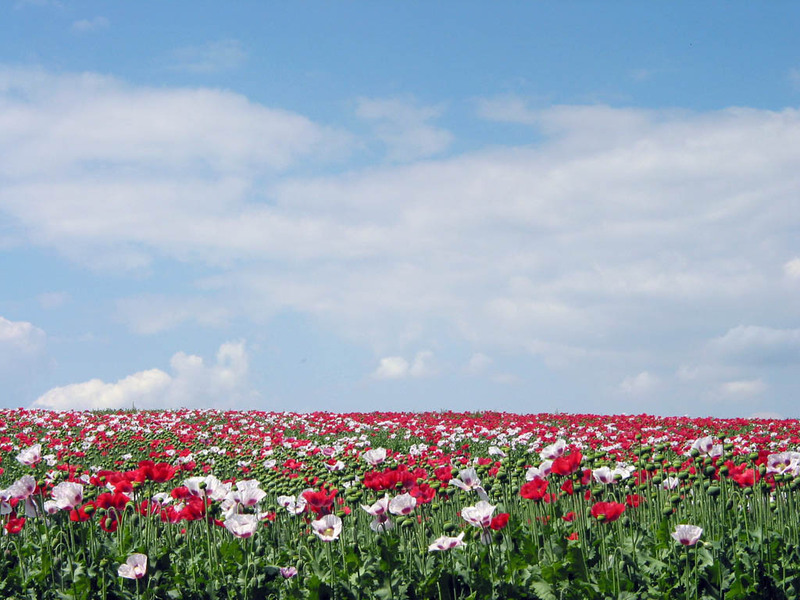 Field of opium poppies, Waldviertel, Austria. 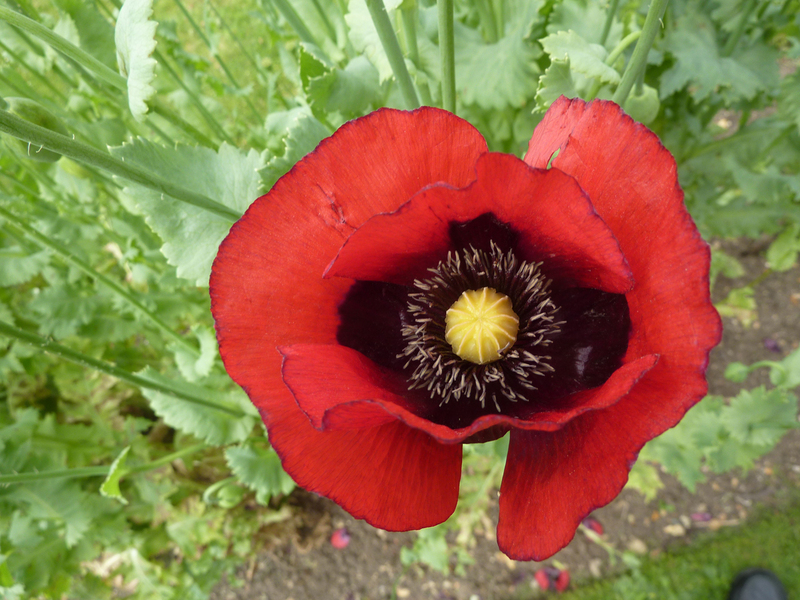 growing in and around Upton Grey, UK. 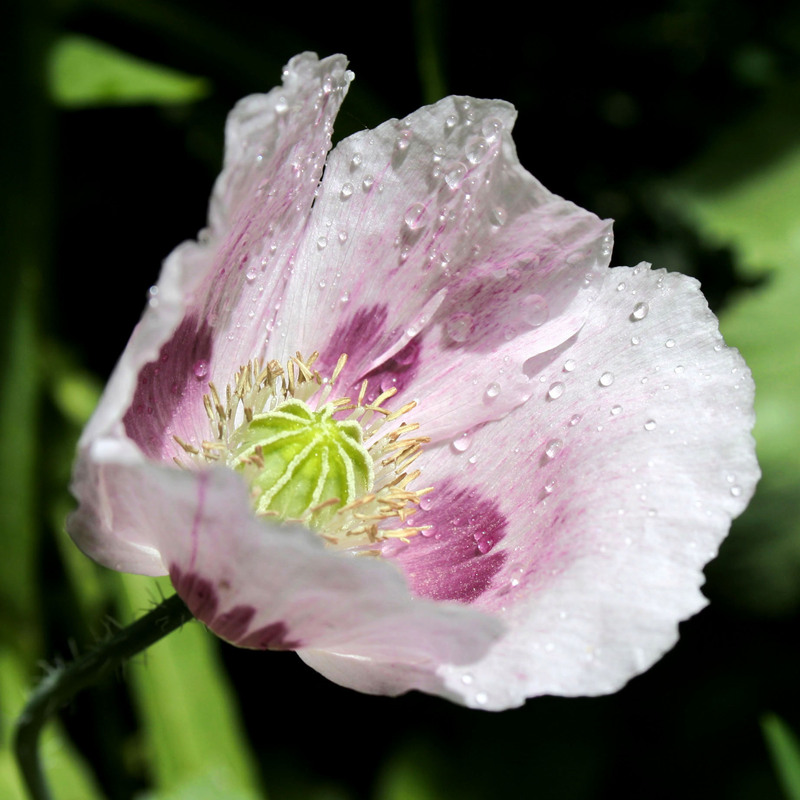 Opium poppy covered in rain drops, Budapest, Hungary. 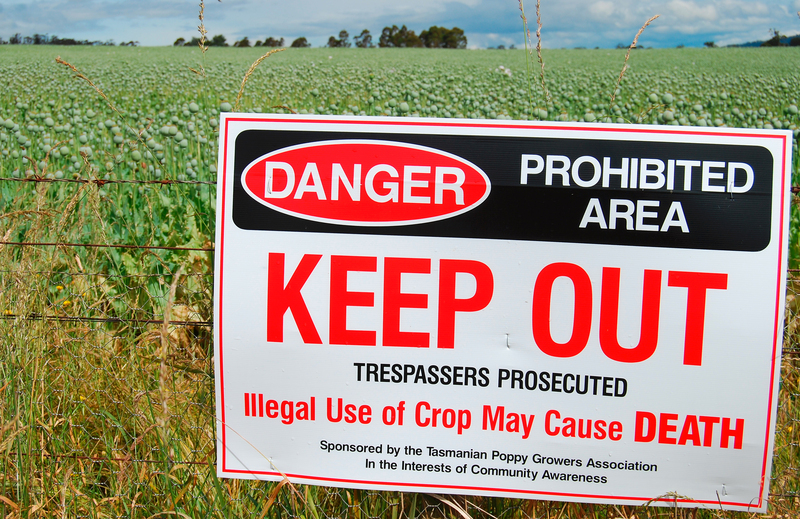 Warning sign outside opium poppy plantation, Tasmania, Australia.